Another innocent animal has to die because of human stupidity. 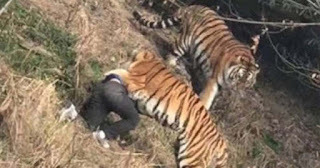 A Chinese man wants to enter a zoo for free so he climbed the zoo fence and fell into a tiger’s den. 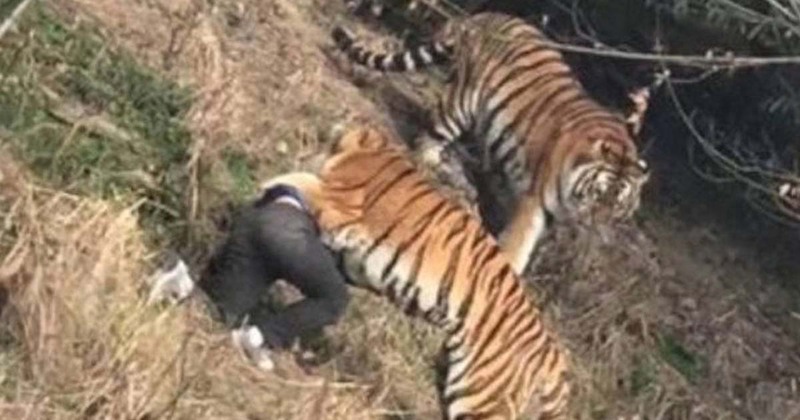 The result of his actions led not only to his death but to the death of one tiger.Mr. Zhang from Hubei province was with his wife and children, his co-worker Li and wife at the Yanger Zoo in Ningbo. The women bought tickets for themselves and the kids.But two men didn’t want to spend extra cash for a $19 entrance fee and opted to climb the zoo fence despite all the warnings.